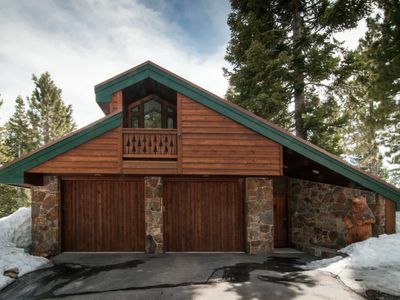 Winter and Summer.....Escape from it all in this large 5 bedroom, 4 bath cabin in the pristine and exclusive Bear Creek neighborhood, located one mile mile below Alpine Meadows Ski Resort. The home's modern lay-out boasts two stories of glass windows with views of the slopes in the winter and of our private swimming pond in the summer. 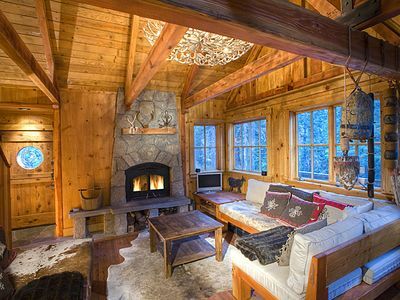 Surrounded by open meadows and solitude yet close to everything, this cabin is a reunion/retreat destination like no other. 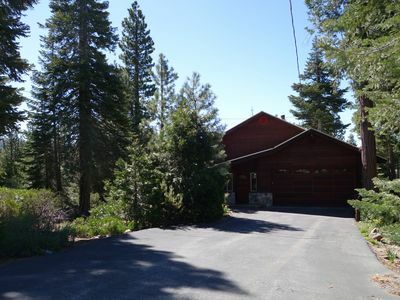 Our home is surrounded by 3 open lots that can never be built on! 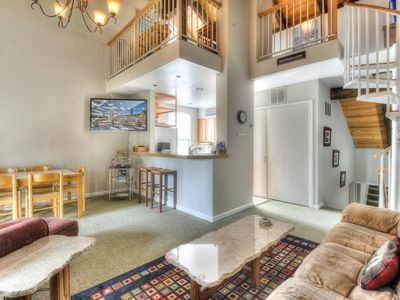 It feels like you went camping and brought a 5-BR house with you! 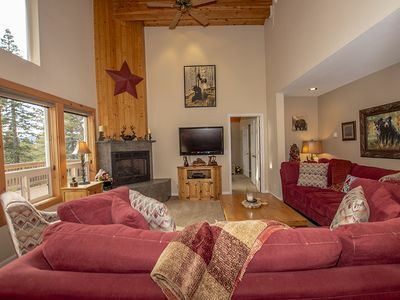 Our game cupboard contains tons of puzzles and games, and our large sunken living-room and open-hearth fire place allow for families and friends to gather effortlessly. 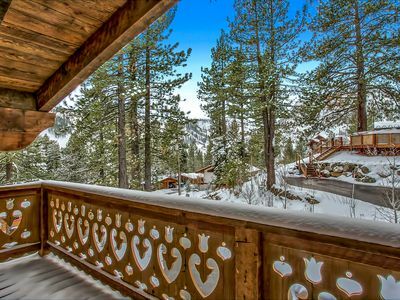 In the winter, beat traffic with a one minute drive to the slopes, or cross country ski and make snowmen in the untouched snow off the back deck. If you dare, adventure one mile down the road to our local 'E' ticket sledding hill. 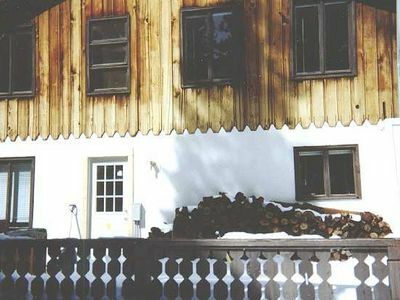 Cold temps but low snow year? No problem. Bear Creek's pond transforms into a private old-fashioned skating pond. Bring some skates, ear-muffs, and your hockey stick and enjoy skating with no driving, nor admission price! 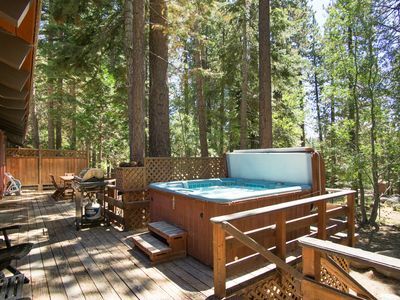 In summer, stroll out on to the deck and find yourself steps away from our private swimming pond with its' own sandy beach, Huck-Finn style rafts, and 'rock islands' to sunbathe on. 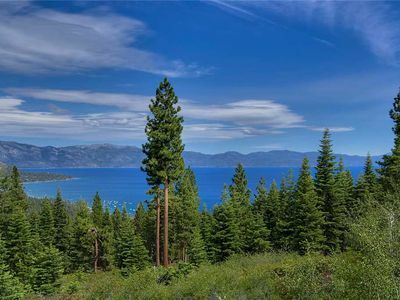 You may never want to leave, but if you do the famous Five-Lakes trail-head is across the street, as are some of Tahoe's famous mountain bike trails. 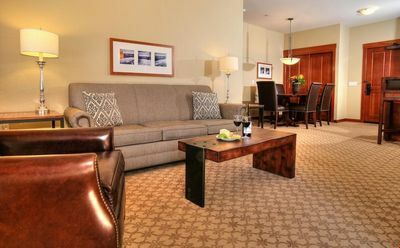 Two miles down the road find fine-dining at the River Ranch, Tahoe's best horseback riding stables, rafting on the Truckee River, and the world's most beautiful bike path- which runs along the Truckee River for 12 miles and leads you to beautiful Lake Tahoe and Tahoe City. 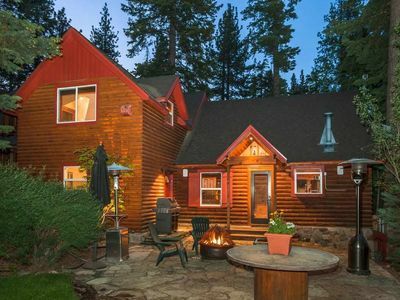 Winter or Summer, this cabin gives you access to the best that Tahoe has to offer. 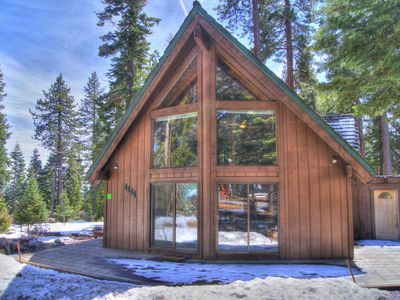 It is the perfect cabin for a single-family retreat or a large group get-away. 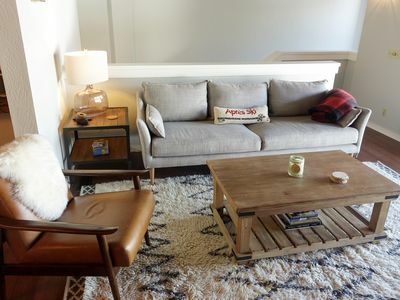 The lay-out of our home allows for private and communal activities to happen at the same time. You can play hard, or relax, connect or disconnect, your choice. 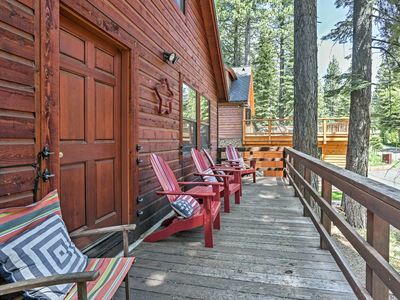 Whether you are looking for adventure or solitude this house has it all. 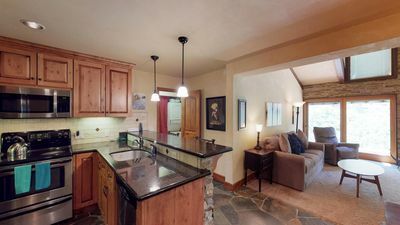 Sunnyside Cottage - Romantic, Pet-friendly w/ Hot Tub - A GUEST FAVORITE! 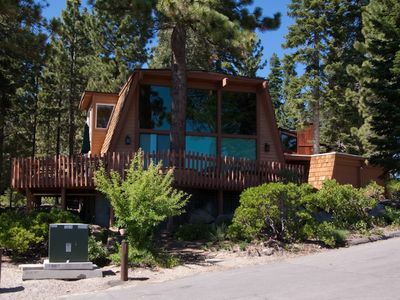 Exquisite Dog Friendly 5br, 4.5ba Home with Hot Tub on North Shore of Lake Tahoe! Great Spring Skiing!! Walk to Skylandia Beach! 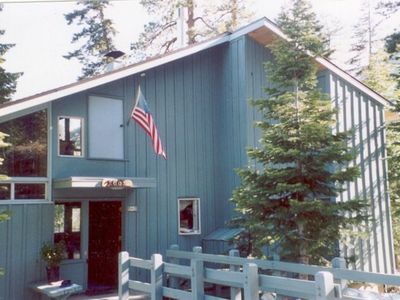 Ideal Family Home for your Summer Getaway!! 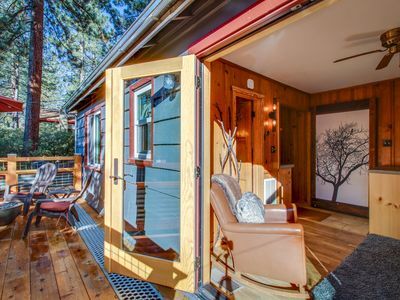 Summer Vacation House 2019 Under the Tram at Squaw. 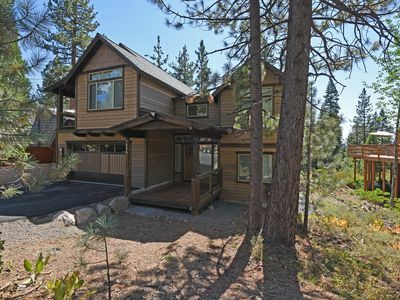 6BR/3BA. 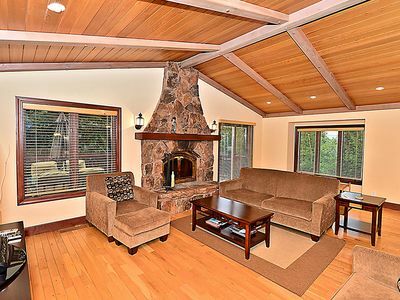 Gorgeous Family Friendly Hot Tub Home in Dollar Point with Lake View!